The Martin Yale P7400 Automatic Feed Desktop Folder saves time and money. Martin Yale P7400 Automatic Feed Desktop Folder can easily create up to four of the most popular folds the Premier RapidFold P7400 from Martin Yale. 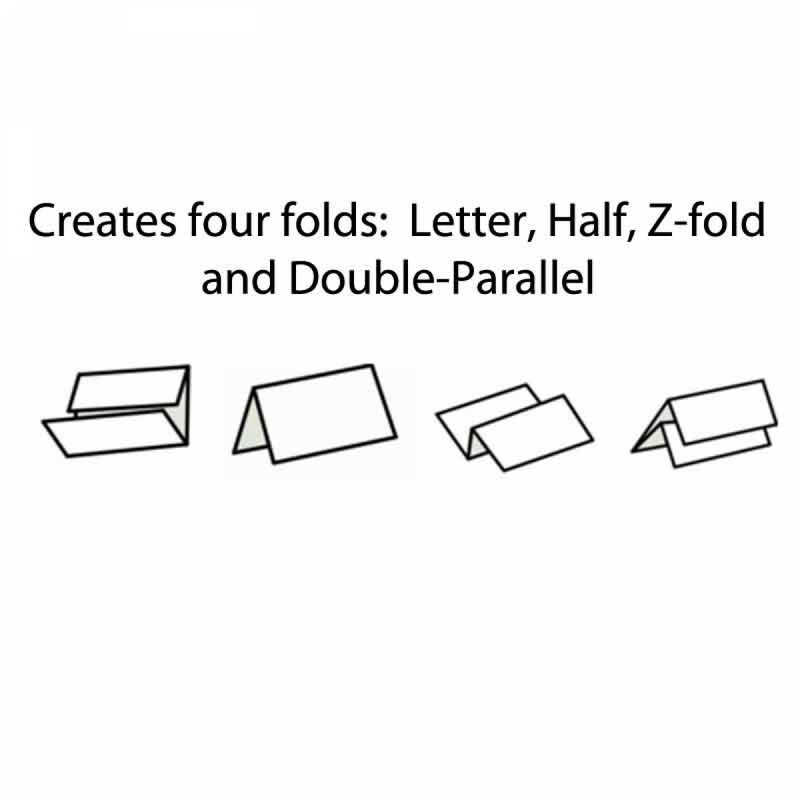 These folds include the z-fold, double parallel fold, half fold and letter fold. This entry-level paper folder is commonly seen in churches, schools, mailrooms and other offices. ThePremier P7400 has a manual bypass slot that allows you to manually fold up to three stapled or unstapled sheets at a time. An auto jam detector and auto shut off are built into the P7400. Thefeed tray can hold up to 50 sheets of paper at a time. We have a low-price guarantee on all our paper folders. The Martin Yale P7400 is small and easy to store. This machine does most common folds and a continuous feed of up to 50 sheets of 20 lb. bond. Able to accommodate most copy papers and letterheads. This unit is sure to be a success in any small office or moderate mailing environment. 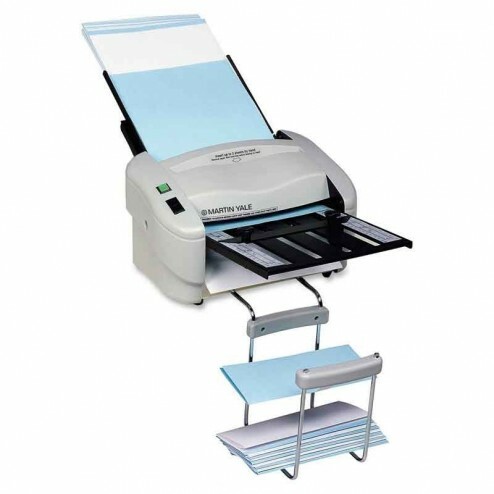 Automatically feeds and folds a stack of documents up to 8 1/2" x 14"